You need affordable software solutions quickly, we provide them. We meet with you and understand your needs and problem areas. We recommend a solution to you: Caspio Bridge or Airtable for applications, Kepla CRM for your Contact Management, or Wordpress if you need a website. We then start to rapidly show you a prototype of your solution evolving. You understand the solution early and are part of its creation. You start to use reliable, affordable software that suits your needs. 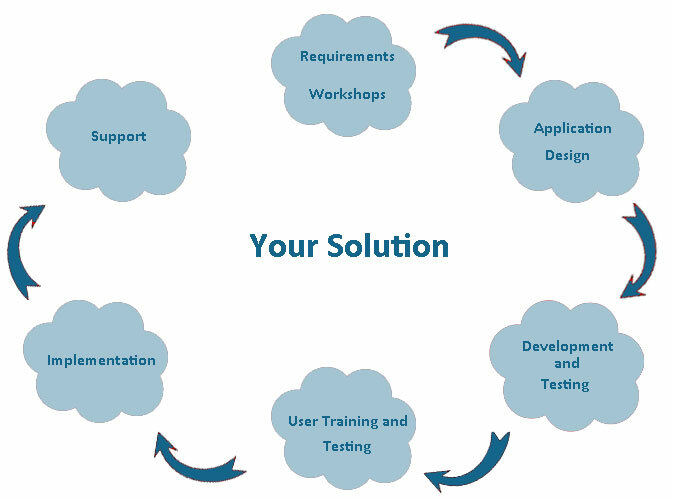 EarthWave Solutions provides software applications and information solutions. We design and build software for the non-profit sector and for business. We use Gartner rated Caspio Bridge for fast and efficient application delivery. We also use Airtable for low cost, simple requirements. For your Contact Management we can configure and install Kepla CRM for you. If you need a professional website, we can create one for you in Wordpress. We have designed and built software applications for large freight and engineering companies, clothing manufacturing, financial, logistics and production planning systems.